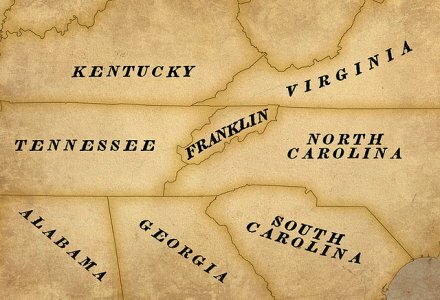 This is rather nitpicky on my part, I know, but your map shows West Virginia as being separate from Virginia, something that didn’t happen until roughly 75 years after Franklin was absorbed by Tennessee. John Fuller Lain (Lane) was my ggggg grandfather. The story that was passed down in the family was that he was poisoned by one of his own female slaves, putting scorpion venom in his drinking water, because he was working her too hard. Finding out about Tom from this site only a few weeks ago has been quite a revelation. Was William Evan’s Tom a scapegoat? However he died, Lain definitely was not poisoned in the manner you describe. Scorpion venom is harmless when swallowed; it’s only toxic if injected directly into the bloodstream. So even if you could somehow “milk” enough venom and put it in someone’s food or drink (something that sounds difficult to do, to say the least), your intended target wouldn’t die. The issue for me isn’t the type of poison used, but why was his family telling the story in the way they did– his own female slave? In the inventory made of his estate after he died intestate includes mention of a male slave, Gabe, and a 27 year old woman named Fan, an infant Peter and a 3 year old Tom. Was little Tom big Tom’s son? Were Fan and Tom a couple, and was JFL threatening that relationship? Was Mrs. Lane involved (Elizabeth Cloud Lane)?